Tickets Available: Universal Orlando Resort offers 3-Park Base tickets which are great for the first time visitor that wants to take their time to enjoy one park per day. Choose a 3-Park, Park-to-Park ticket for the flexibility to access Universal Studios Florida, Universal's Islands of Adventure and Universal's Volcano Bay on the same day. To visit Volcano Bay, you must choose a 3 Park ticket. Look up — way up — as you approach Universal Orlando Resort™. You’ll see it towering over its surroundings, majestic and sublime. It’s the mighty, 200-foot-tall Krakatau volcano … and it’s beckoning you to the adventure of a lifetime at Universal’s Volcano Bay™! Settled by the legendary Waturi people and guided by their philosophy, “Water Is Life. Life Is Joy,” this water theme park offers equal measures of intense action and tranquil serenity, buoyed by resort-level amenities, food and beverages with a South Pacific vibe. Whether you want to plummet down hair-raising slides, drift along a lazy river, or just relax beachside with a tropical drink, there’s no wrong way to enjoy island life at Universal’s Volcano Bay. At Rainforest Village, you can brave Kala & Tai Nui Serpentine Body Slides, or grab a mat and go head-to-head against other daredevils at Punga Racers. You can also experience dual raft-racing tracks at Taniwha Tubes — Tonga & Raki. Need a bigger raft? Look no further than the six-person Maku Puihi Round Raft Rides! Rainforest Village’s other thrills include Kala & Tai Nui Serpentine Body Slides, Ohyah & Ohno Drop Slides — which deposit you 4 feet above a pool — and a white-knuckle, white-water adventure at TeAwa the Fearless River. And if things get too exciting, you can always cool down in the Puka Uli Lagoon. You’ll find more ways to unwind at Wave Village’s Waturi Beach and The Reef, plus fast times at Ko’okiri Body Plunge. For maximum relaxation, head to River Village. In addition to kid-friendly fun at Honu ika Moana, Runamukka Reef and Tot Tiki Reef, this area features the Kopiko Wai Winding River, which runs through the entire park with plenty of surprises along the way. And for the ultimate challenge, your whole crew can board a four-person canoe for the park’s signature Krakatau Aqua Coaster! While you’re at Universal’s Volcano Bay, you’ll be able to take advantage of TapuTapu wearable technology — a complimentary wristband that eliminates the need to wait in long lines. Instead, just swipe your band against special totems at attractions to get a designated start time. You can also use it to discover astonishing secrets throughout the park. 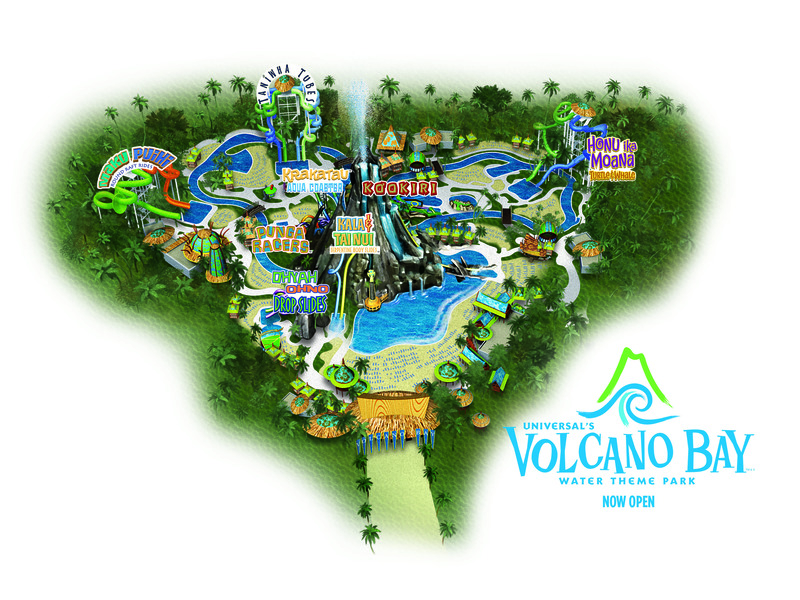 Ready to explore Universal’s Volcano Bay? Secure your discounted tickets and prepare for your wettest, wildest adventure yet in Orlando!